New Zealand could have self-piloted flying taxis operating within the next six years. That's the lofty aim of California-based company Kitty Hawk, who have been secretly testing their autonomous air travel vehicle in the Canterbury region since October. 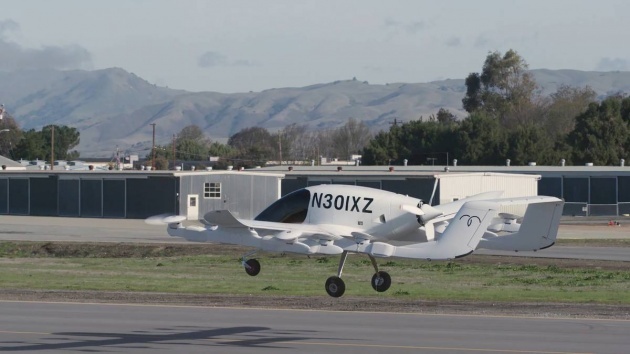 The company, operating as Zephyr Airworks in New Zealand, has been developing the vehicle for the past eight years. The designers believe this new type of vehicle, a world first, will be commonplace 10 or 20 years from now as a way of combating traffic congestion on the ground. Christchurch Airport Corporate Affairs Manager Michael Singleton has seen the air taxi, and told Kate Hawkesby it will be intriguing to see how it is embraced. "I think that's the interesting part of these, how humans interact with them. The experience we've had with our autonomous vehicle trial is actually it's surprising how willing people are to go there." It's unclear at this stage what the cost would be for the service, or how it would be regulated. Singleton says the taxi, called Cora, is very impressive.